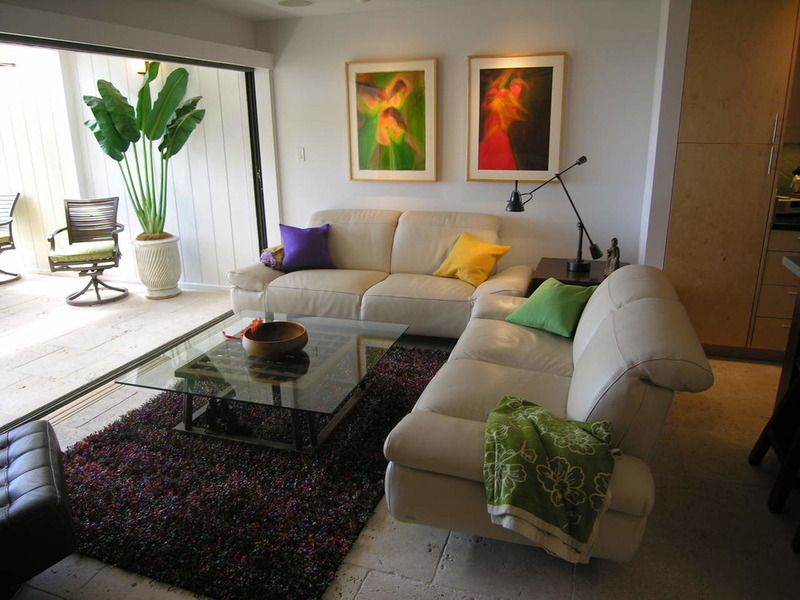 Small space remodels require a great deal of thought and preparation; this type of construction requires the most custom of work. 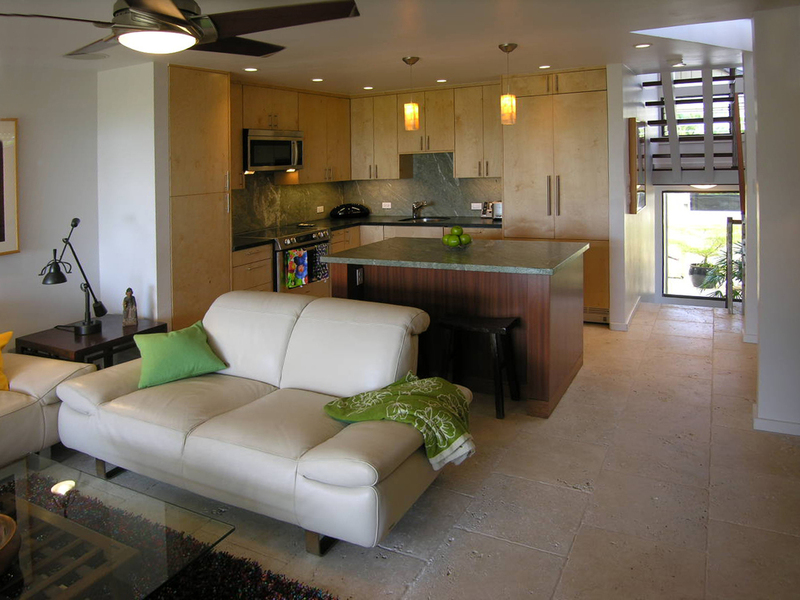 This ocean-front condominium focuses on the kitchen and adjacent living space, remodeling the interior to create and open indoor-outdoor feel to maximize the flow of the natural cooling ocean breeze. Well placed lighting, accent cabinetry, floating stair treads all contribute to the definition of this cozy, yet modern home. 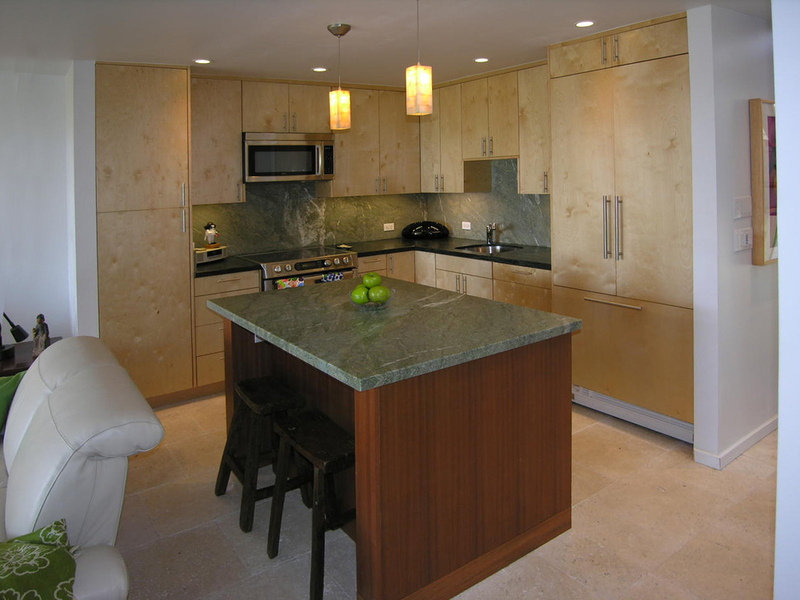 Low voltage lighting, reclaimed birch cabinets, energy stair appliances, natural lighting and ventilation round out the sustainable features of this remodel.